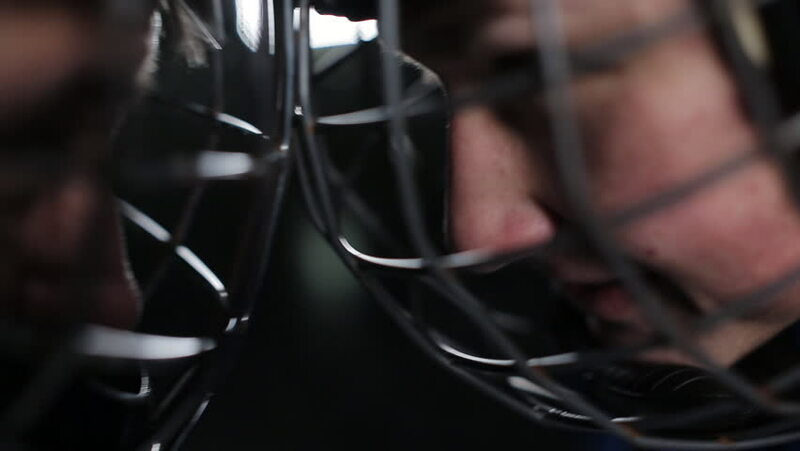 Close-up of a goalkeeper and a forward face to face, stared each other helmets. The rage and hatred on the ice field. hd00:06Red-haired girl put her hair in the beauty salon. hd00:06Close up for modern, new car dashboard, luxury concept. Stock. Turned off dashboard lights of the vehicle, interior view. 4k00:05An old biker woman sits on her motorcycle against the background of an empty highway. Her hands on the steering wheel, they have gloves without fingers, hands are visible close-up.